Uber has pumped the brakes on its self-driving cars program. 49-year-old Elaine Herzberg was killed by a self-driving Uber car on March 18. Dash cam footage shows that Herzberg was looking at the other side of the road as she was riding her bicycle when the car hit her. The car was going 40 mph prior to the accident and did not slow down when it hit her. The Uber safety driver showed no signs of impairment and the weather was clear and dry. Neither the car nor the safety person saw her until she was struck. In response, Arizona Governor Doug Ducey suspended Uber’s right to run self-driving cars in Arizona (the company had announced it would suspend its program prior to the announcement). The suspension was a 180 degree turn on Governor Ducey’s part. After taking office in 2015, Ducey had welcomed high tech companies seeking to test autonomous cars, especially Uber. Ducey issued executive orders compelling state officials not to enforce taxi licensing rules for self-driving cars. Ducey permitted Uber to test its vehicles in Arizona as long as there was a human driver ready to assume control should there be a need to. Ducey also gave Uber his blessing to operate fully driverless cars on university campuses in the state. Ducey’s administration claims that his aggressive pursuit of Uber was part of the governor’s plan to poach high-tech companies from California. The Golden State has lead the country in high tech for the 21st century, but states across the country have been courting its companies with offers of tax breaks and other incentives. Arizona’s pitch to Uber and other companies looking to test self-driving cars was less regulations to interfere with their operations. This was a sharp contrast with California, which had recently voted to impose additional restrictions on driverless cars. Uber argues that while the accident was tragic, it is all in pursuit of science. Safety and efficiency requires experimentation and there may be accidents along the way. However, emails obtained by the Guardian between Uber and Governor Ducey indicates that there may be more to the relationship than Ducey’s desire for a business-friendly environment. Emails show that Uber offered Ducey shirts and office space in San Francisco as the Governor spearheaded deregulation in Arizona. Although Uber has already settled with Herzberg’s estate, the emails renew a new legal debate: who is liable for Ms. Herzberg’s wrongful death? Is There Potential Liability for Uber and the State? If Herzberg’s estate wants to pursue a lawsuit, there are two realistic claims: the safety driver in the car or Uber itself. Any claims against the state of Arizona and Governor Ducey would be protected by sovereign immunity. If Governor Ducey did anything illegal, it would be prosecuted by the state Attorney General’s office instead of a private citizen. Although self-driving car cases are new, the case here is still analogous to a normal accident involving an employer licensed vehicle. Suppose that a UPS or FedEx driver hits a vehicle. UPS and FedEx would be vicariously liable for the injury it caused. 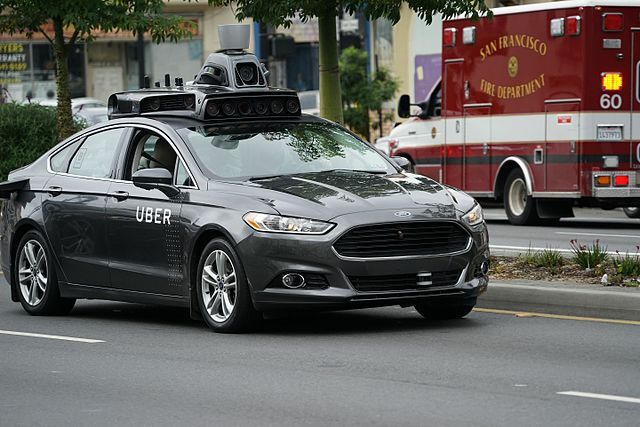 Although the Uber vehicle was on auto-pilot, there was a human safety person behind there. Video footage clearly shows the person was not paying attention when the accident occurred. Given that the person’s job was to take over in the event of an accident, the safety person had clearly failed his or her standard of care. Since the person was an Uber representative, Uber would be responsible for the safety person’s negligence. Even without the vicarious liability of a careless employee, Uber would still be liable. Self-driving vehicle may be new, but defective product cases are not. If the auto-driving car was supposed to detect pedestrians and failed to do so, then the car, the product, was defective. The main complication is that the users of the product usually bring a defective product suit, not the victims of it. This should not stop a defective product claim though, as there are plenty of lawsuits involving people injured by products that they didn’t purchase themselves. One potential hitch in the pedestrian’s suit against Uber is that Herzberg was clearly jaywalking. Many states will bar the plaintiff from recovering if he or she contributed to the accident. However, Arizona is a comparative negligence state. This means that Herzberg’s estate is not barred from recovery even if she were found to be 99% at fault. The recovery amount would be reduced by the percentage a jury would find the victim at fault though. Herzberg’s jaywalking might have cost her life, but it would only reduce the settlement her estate could recover. Uber has struggled to teach the systems to adjust for unpredictable human behavior. This will cause more injuries in the future. In the long run though, computer drivers would safety than human drivers since the computers would actually follow all traffic laws and would not take any risks. People might need to adjust to this new reality, but it will ultimately benefit everyone. There will always be speed bumps when testing new technology. For Uber’s sake, it had best avoid using human being as speed bumps in the future.